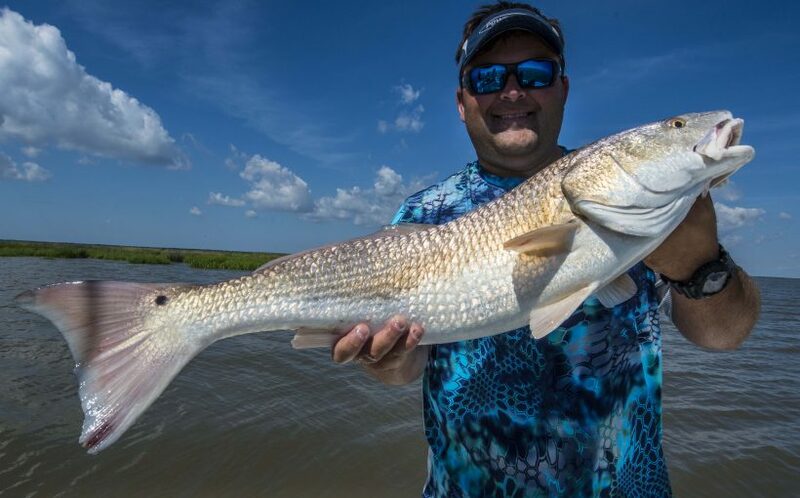 Big Reds in Big Water! 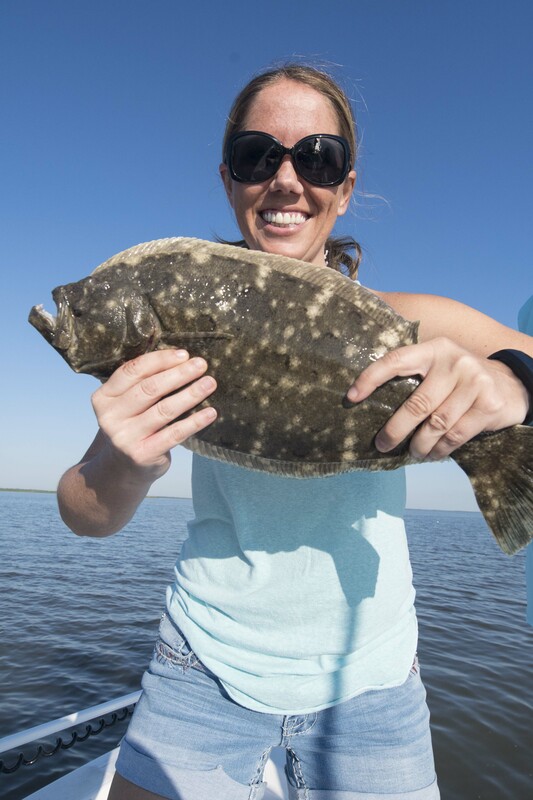 The time for catching specks is now. The tide has been good and the winds have been down, We’ve had primarily Southeast winds at 5-10 mph for the last week or so. If you’re looking to start your search for trout, these are the conditions you need to look for. 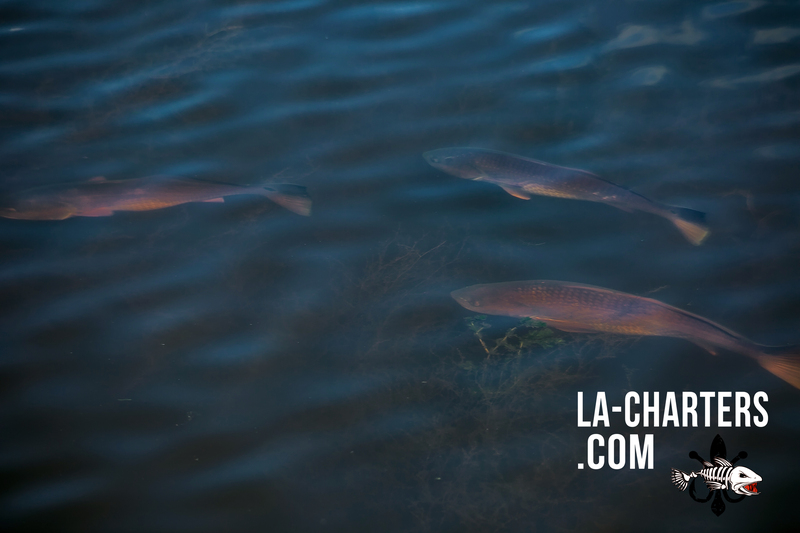 The main way to catch them is with live bait hooked to kale hook under a cork or on the bottom with 1/4 to 1/2 oz weight depending on current. 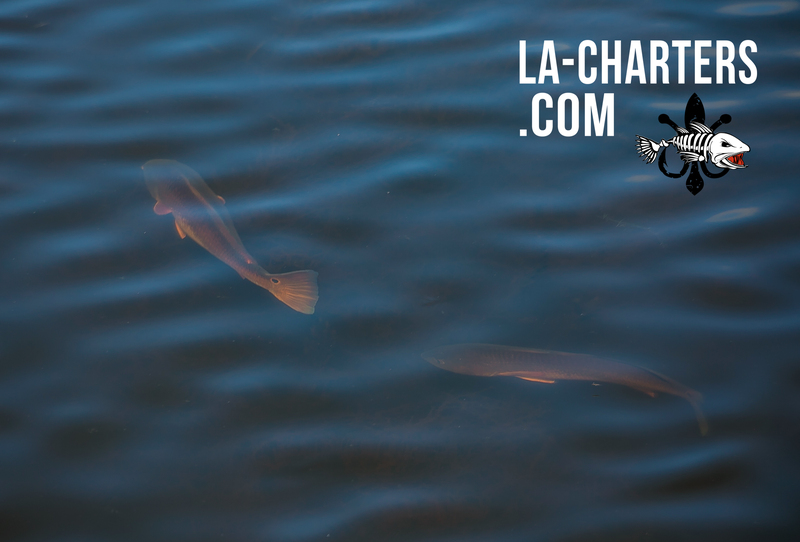 The trout run seems to be later than normal this year and should last through August. 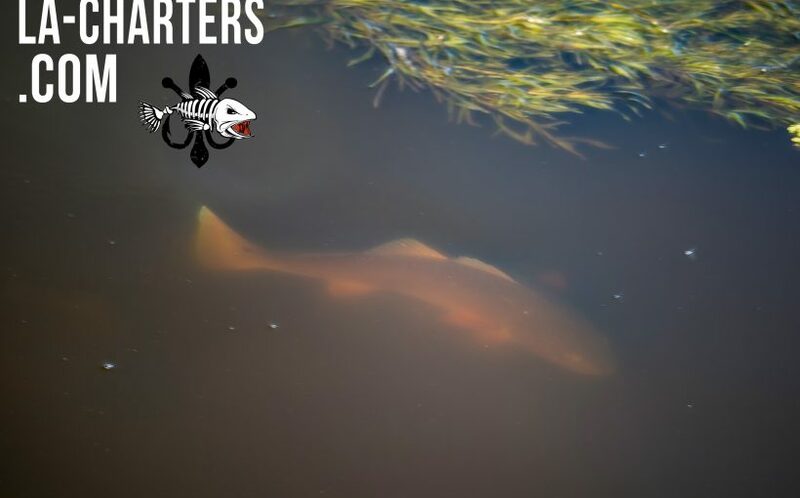 Redfish are all through the marsh. 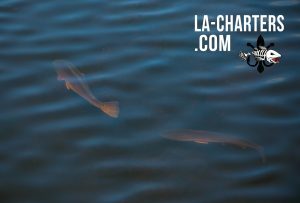 It’s been pretty light winds lately so getting around and staying quiet in the shallows has been much easier than when we were having big winds. Water levels are currently a little low. 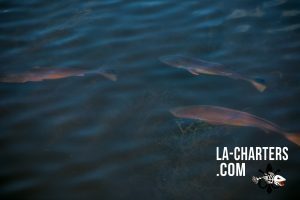 This means that fish are out of the ponds and schooled up good in all the bigger lakes. 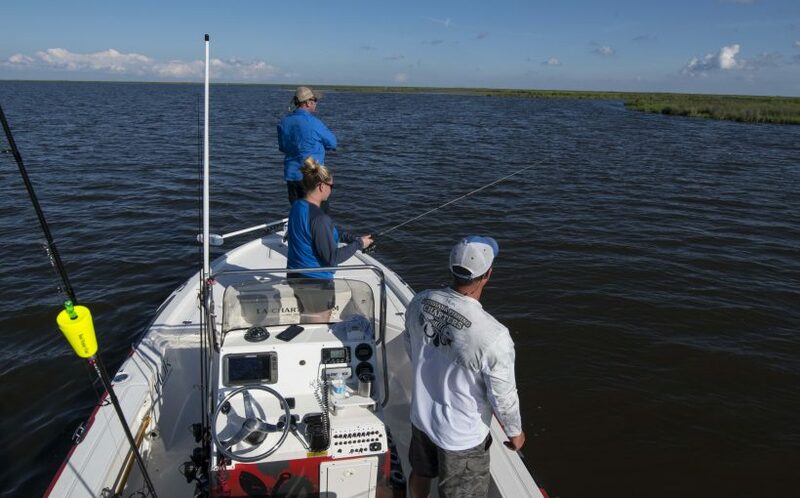 As a Louisiana Charter Fishing guide, we love to see our clients experience these schools of fish for the first time. 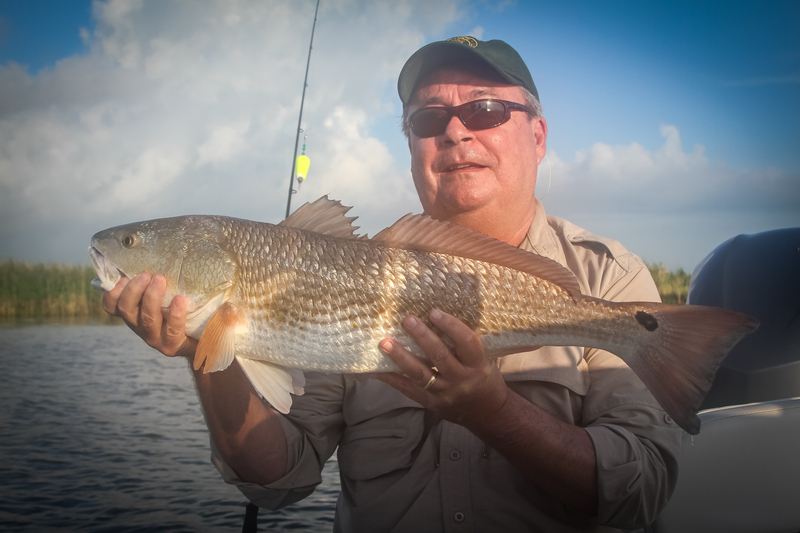 We always use live shrimp with our clients unless they request to use chasing baits. 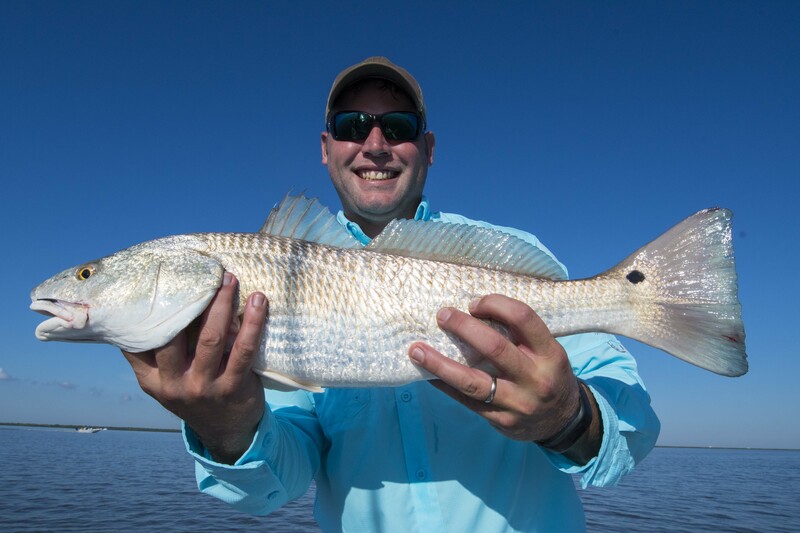 If you prefer to use artificial for redfish right now, we’d recommend spinner baits, spoons, chatterbaits. 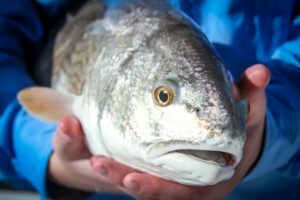 Whether you fish with live bait or artificial, your trip for New Orleans Red Fishing will be a blast. To locate redfish in those bigger lakes, look for them along the banks. The fish are cruising up and down banks in groups of 5s and 10s. They have been feeding on shad, finger mullet, and porgies so be sure to look for schools of baitfish. 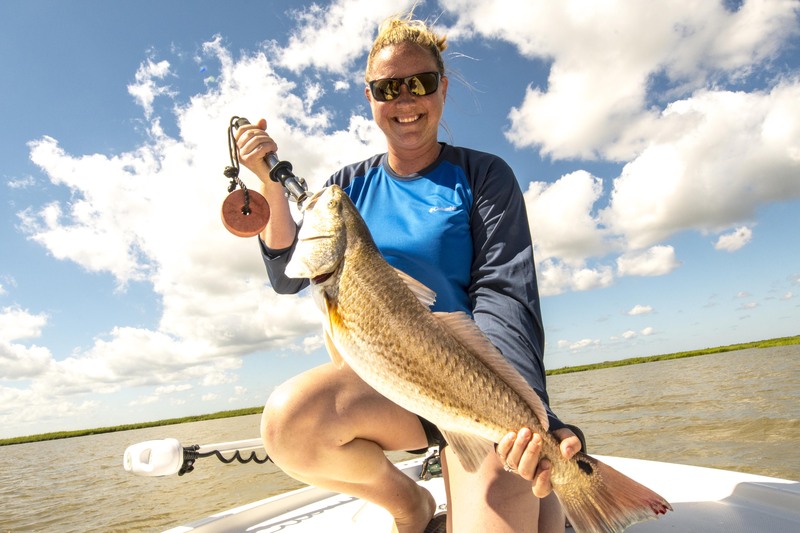 Take it from this Louisiana fishing guide, if you find a school of baitfish and no redfish, it’s time to try a new area. We are entering the warmest part of the year right now. 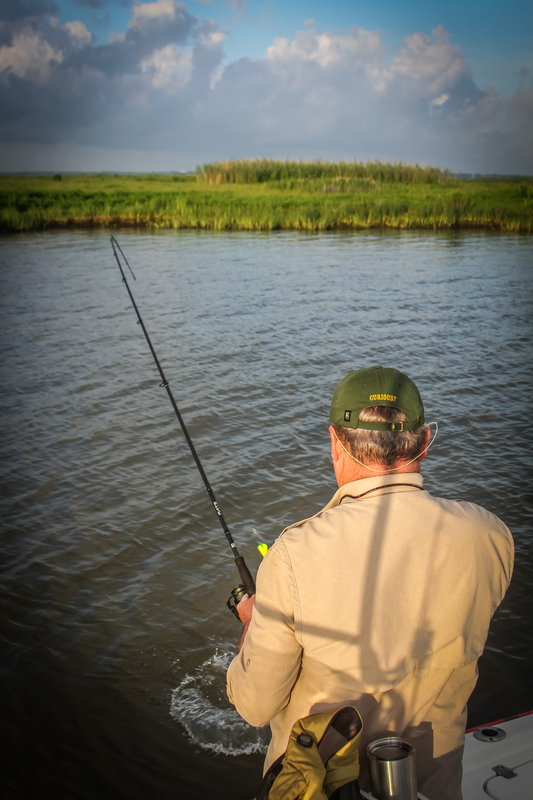 We highly recommend fishing during first 4-5 hours of morning and the last 3-4 hours of the afternoon. If you get out at daybreak and head to the large lakes you will find redfish. 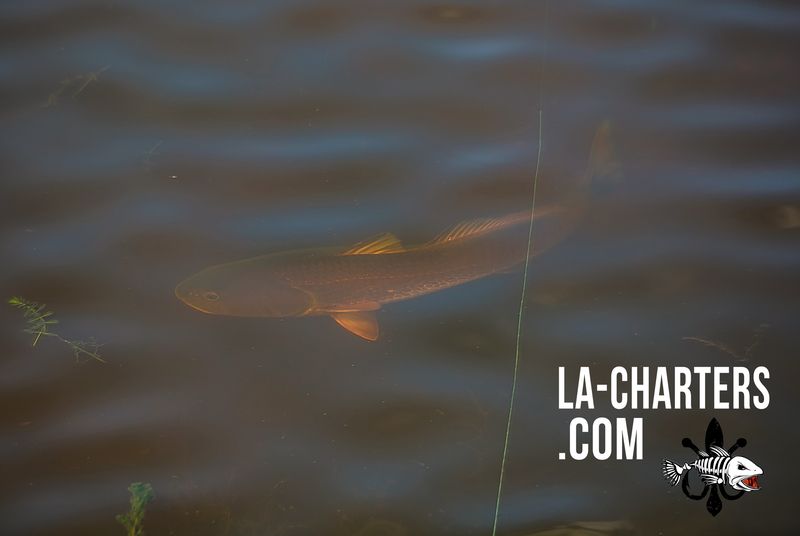 Head to the outside for the trout.